WiFi enabled cameras are great for keeping an eye on things that matter most to you. And there can be nothing in this world that matters more than your baby, which is why WiFi baby monitors are a modern day parenting essential. There are loads of them out there at the moment, so it can be tough when it comes to choosing which one is right for you. 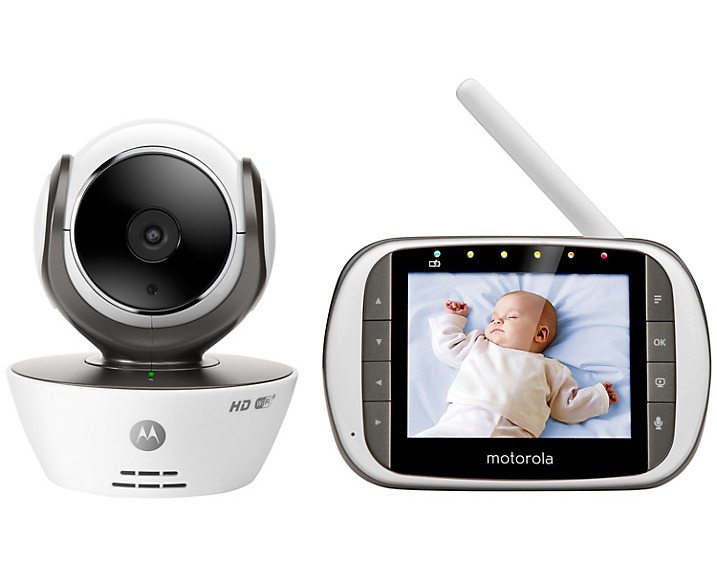 However, we think we've found a pretty versatile one in the Motorola MBP853 Connect Baby Monitor. In a nutshell, this is small camera that connects to your home's WiFi network, allowing you to view the live stream (of your wee sleeping baby) on a hand-held and wireless 'parent' unit. The unit features a 3.5 inch LCD screen so you can clearly see you baby, and also all the controls you need to pan and tilt the camera, listen through the camera's built-in microphone, and also talk to your baby via the speaker. 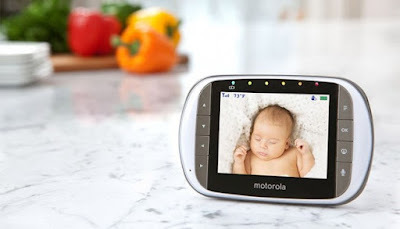 What makes the Motorola MBP853 Connect Baby Monitor stand out a little bit more from the crowd that it can also do all of this via your smartphone or tablet... from anywhere in the word. Thanks to the hubble app a compatible mobile device can essentially be used as the 'parent' unit, providing all the controls and features you would normally have access to while connected to you home WiFi. This means you can check up on the wee sprog even if you're attending a business conference in Hong Kong. The camera itself seems to be a much improved version of the Blink 1 that we reviewed a couple of years ago, and even boasts full HD image capture thanks to the 720p resolution. This is pretty good for a baby monitor, and considering that your subject will largely be still and just a few feet from the lens in the cot, means the picture quality is fabulous. It has night vision, like its predecessors, but the glowing red IR lights aren't half as creepy as on other cameras we've tested. We're also happy to see that the noise the camera makes as it is slowly panning and tilting is very quiet, so as not to disturb the sleeping cherub. 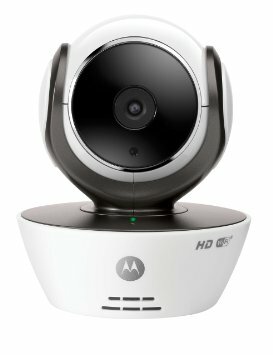 The Motorola MBP853 Connect Baby Monitor works exceptionally well over WiFi with the parent unit, and we found there to be less than a second of lag between what really happens and when it appears on the unit's screen. Using the hubble app over mobile internet increases the delay to just a couple of seconds, but this is still noteworthy in a world where parents can expect anything up to half a minute of lag on other devices. The hubble app also features alerts such as motion, noise and temperature, and if you subscribe to paid-for service you'll even get cloud storage of your video clips. Set up was easy, it looks good yet discreet in the home, and thanks to the remote viewing features and app, the Motorola MBP853 Connect Baby Monitor could also double as a security camera to keep an eye on your belongings that don't poo quite so much as your baby. 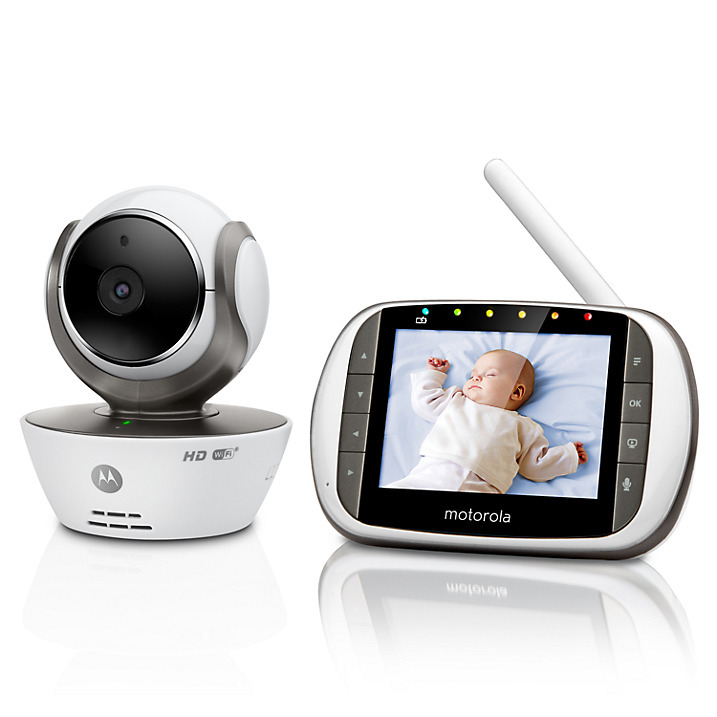 This is a good quality baby monitor that seems to have been designed for true versatility.